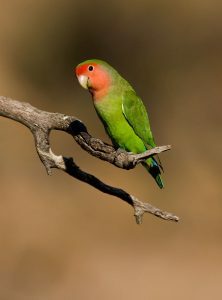 The peach-faced lovebird, a native of Africa, is found at an elevation of sixteen hundred meters above the sea level. 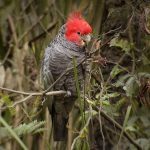 They are known to be extremely protective of their mates, often seen feeding and taking care of each other, hence justifying the name. 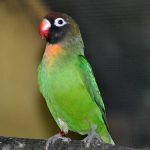 Color Mostly green body with dark brown eyes, pink upper breast, eye zone and head, blue rump. Adults have gray colored bill and feet while juveniles have black spotted gray bill with a greenish crown. 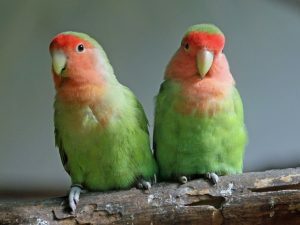 Jolly and lively, peach-faced lovebirds are cherished by bird lovers for their entertaining and interactive behavior. 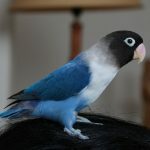 It is better to provide them a spacious cage with horizontal bars, sizing 81X50X50cm with a 2cm bird perch. Since they are inquisitive, often tending to escape, there should be no wide space between the bars. Playing and chewing are their favorite activities so keep some toys inside. 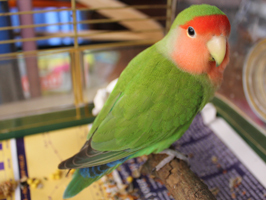 Place a nest box on the upper side of the cage during the breeding period. 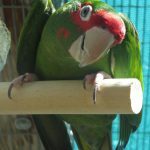 The minimum suitable temperature for juvenile birds is 50°F, whereas adults can stay well in an average room temperature. 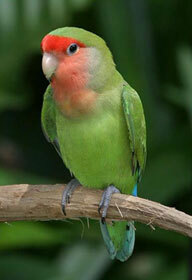 Hand reared peach faced lovebirds tend to grow fast attachment with their owners and love to cuddle frequently. But, they become aggressive with other species if housed together. So, it is better to give them proper attention or else it can become grumpy. They cannot talk, but sometimes imitate the sounds they hear. As they are easily susceptible to malnutrition, ensure your pet has a properly balanced diet consisting of sunflower seeds, canary seeds, millet seeds, saffron seeds, hemp, oats along with boiled eggs, rice, carrots, apple and leafy vegetables. Do not provide them avocado, fried foods, and sugar as these are detrimental to them. Provide them with separate food bowl and chlorine free water. They love to take baths on their own for maintaining their bright plumage, so keep a separate bird bath filled with lukewarm water where they can dip their heads and clap wings (their way of taking a bath). 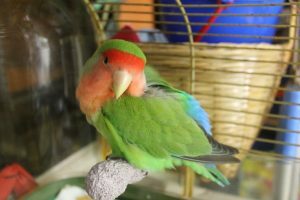 Cleansing and disinfecting the entire cage regularly, along with the toys, perches and bowls are necessary. 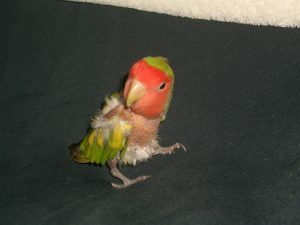 Ailments like a yeast infection, liver infection, psittacosis (parrot fever) or feather diseases are common in them. Also, if there is any symptom of lethargy or upsetting behavior observed, an immediate check up by a proficient vet is advisable. 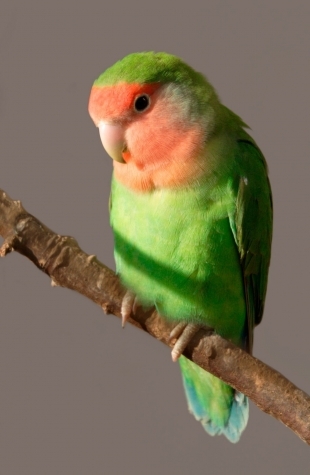 A peach-faced lovebird comes with a price tag between $80-$230 each. But it is never a good idea to let lovebirds stay on their own, so you must also provide for a mate. Although originally discovered in late 1700, it was initially considered to be a type of red-faced lovebird, another similar species. 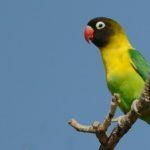 The peach-faced bird was not registered officially as a different species till 1817. 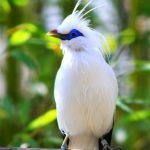 According to experts, it is a possibility to observe around 100,000 types of color mutation of this bird. 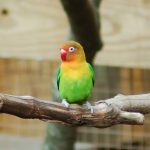 One Response to "Peach-Faced Lovebird (Rosy Faced Lovebird)"